Shallow ponds do not allow the diffused air column to open as far which limits the aeration area. The deeper a diffuser plate is placed in your pond, the more area it can effectively aerate. Unless you dug your pond yourself, there is no real way of knowing the fluctuations that exist along your pond's floor. 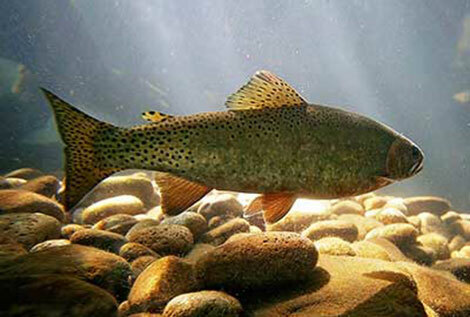 Ponds are a 3-dimensional ecosystem, so it is important to become familiar with what is underwater. Understanding the depth of your pond will help you when treating your pond with products that mix within the water column, such as pond dye, and will help you determine which aeration system for your pond is the best fit. Measuring pond depth is not difficult, but you will need a few tools to get the job done. Gather a tape measure, some string or chain, a weight, notepad, something to write with, and a boat or canoe. Using your tape measure, mark a chain or knot a string in 1-foot intervals and securely attach the weight to one end. Climb aboard your boat or canoe with your weighted chain or string and note-taking materials in hand. Once in the middle of the pond, drop the weight into the water and note where you feel it hit the bottom. Repeat your measurements for at least 4 other areas within the pond, doing more if the pond is particularly large. When you have a good sampling of your pond's depth, record the maximum depth and calculate the average of the measurements you took. You may have noticed that the maximum pond size an Airmax® Aeration System or other subsurface system can aerate varies based on the pond depth. The deeper a diffuser plate is placed in the pond, the more area it can effectively aerate. As diffused oxygen leaves the diffuser plate, it rises in a V-shaped pattern. The pattern becomes wider as it rises, allowing it to circulate a greater volume of water. In shallow ponds, the column of diffused air is not able to open as far, limiting the effective area of each plate and creating the need for more diffuser plates. 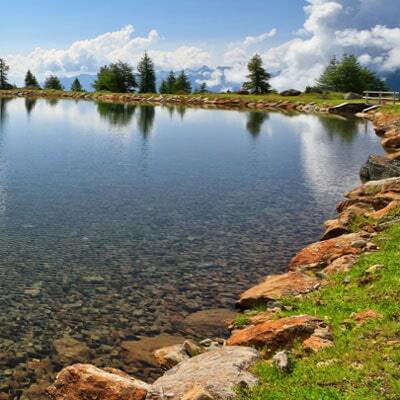 Depth, size, and shape should all be considered when determining which pond aeration system best fits your needs. To help narrow your selection, consider which system will work with the depth of your pond. Airmax Aeration Systems - Offered in four types of series, these pond aeration systems can aerate a pond up to 6+ acres and 50' deep. Shallow Water Series™ - The SW20 and SW40 are designed for ponds up to 6' deep and have 2 or 4 diffuser plates. 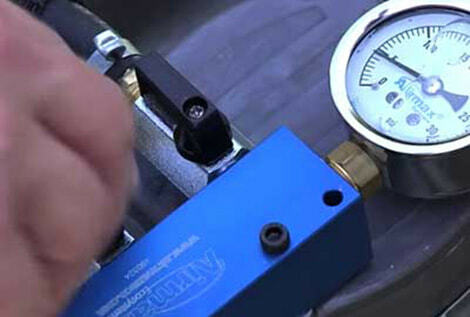 These energy efficient systems feature a dual-diaphragm compressor. Shallow Water HP Series™ - The SW20HP and SW40HP are designed for ponds up to 10' deep and have 2 or 4 diffuser plates. These systems use rocking piston compressors. PondSeries™ - Available with 1-4 diffuser plates, these systems use rocking piston compressors that can be used in ponds up to 21' deep. A Deep Water Kit can be added to aerate ponds 22'-50' deep. LakeSeries™ - The biggest systems, able to aerate up to 50' deep. These units contain two rocking piston compressors housed within one cabinet and 4 or 6 diffuser plates. 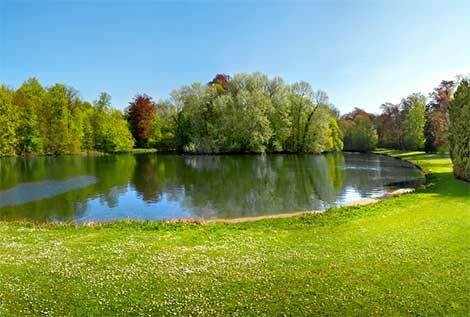 Windmill Aeration Systems - A great alternative if you do not have power within 1,000 feet of the pond. 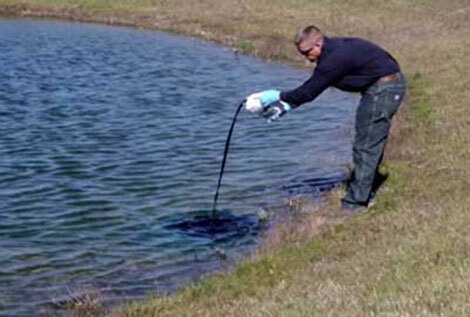 These pond aeration systems can be used in ponds up to 15' deep. Solar Powered Aeration Systems- Another alternative energy option for customers looking to go green. These pond aeration systems can be used in ponds up to 25' deep and can have up to 4 diffuser plates. Decorative Fountains - EcoSeries™ and other fountains can also be used for aeration during the warmer seasons. Because the motor sits at the surface of the pond, the effectiveness is limited to 6' deep. 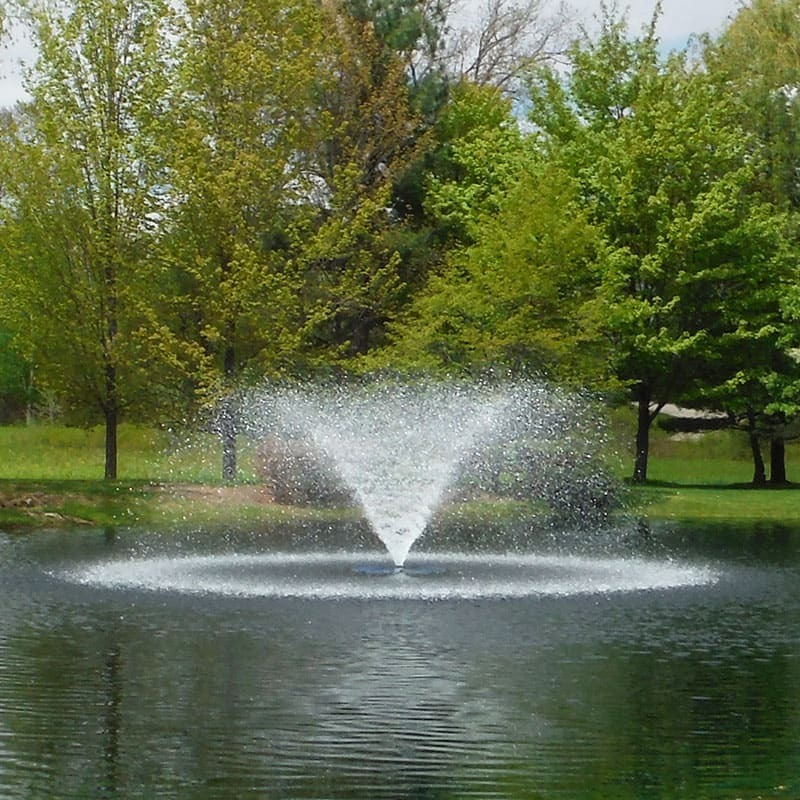 Surface Aeration - Similar to fountains, these systems have a limited capacity for aerating a pond. If your pond is less than 6' or you would like to see a lower-profile of water movement than what a fountain can offer than these are the systems for you. Do you have your depth measured but still do not know what system you need? Let Airmax design the right system for you! You will receive an aerial map with diffuser locations and complete system specifications. Get a profile now!